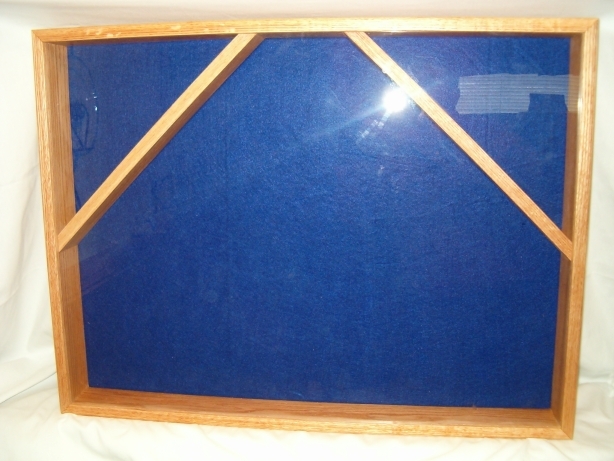 The Grand Colonial Shadow Box can be made of solid Oak, Mahogany, Walnut, or Cherry. 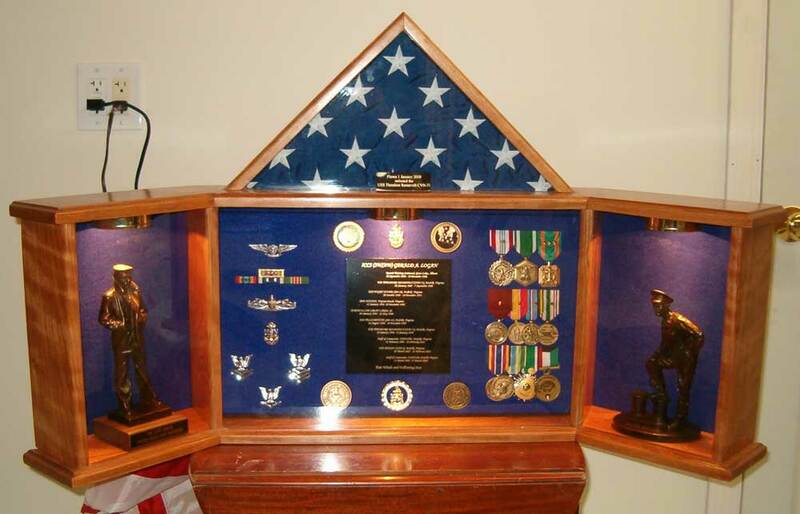 The case can be made to fit 3′ x 5′, 4′ x 6′, or 5′ x 9′ (funeral) flags. Center viewing area measures 20″W x 12.5″H and widens as it tapers back. The two wing compartments are angled at 22 1/2 degrees. The viewing area is approximately 8″ wide and widens as it tapers back. Eack compartment is lighted by a low voltage 12 volt puck light. Please allow 2- 6 weeks for assembly and shipping. 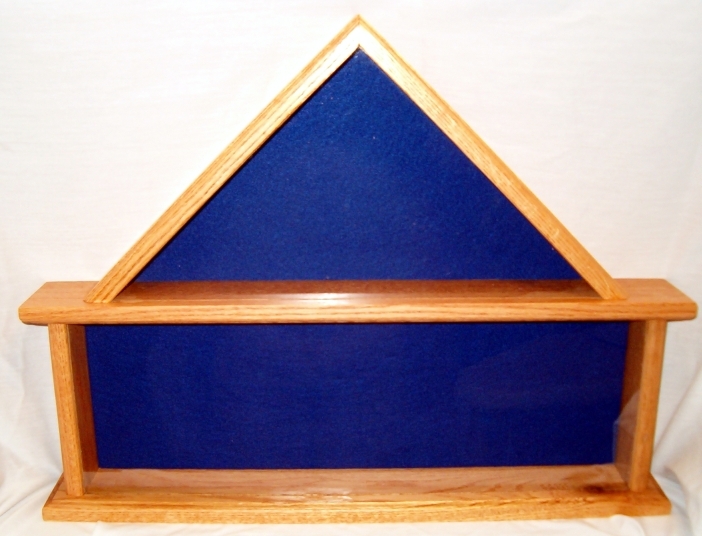 The Grand Colonial Shadow Box can be made of solid Oak, Mahogany, Walnut, or Cherry. 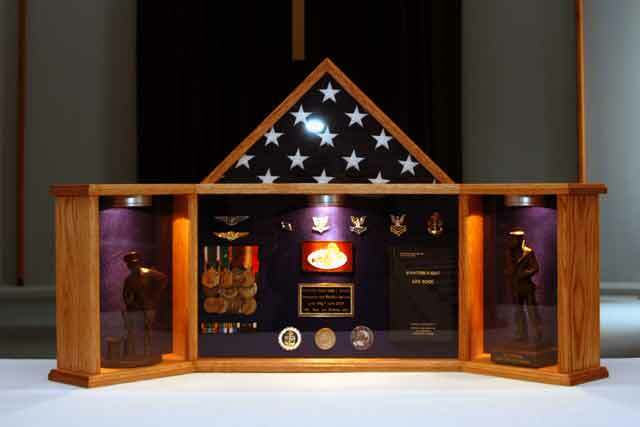 The case can be made to fit 3′ x 5′, 4′ x 6′, or 5′ x 9′ (funeral) flags. 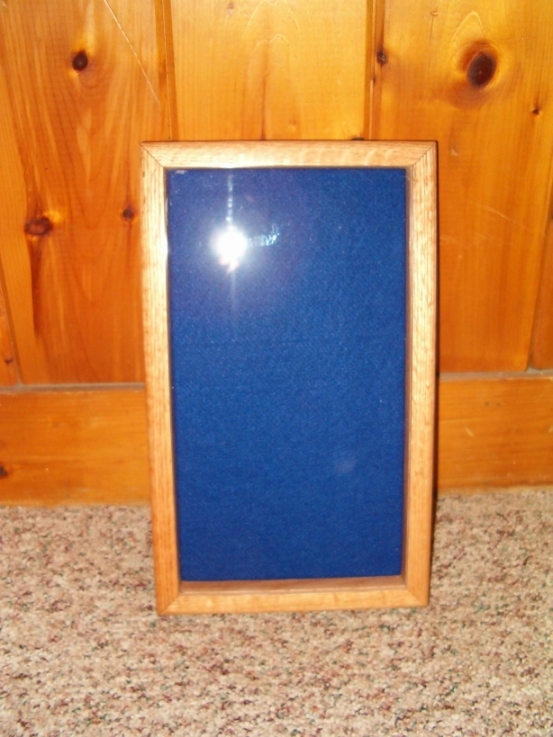 Center viewing area measures 20″W x 12.5″H and widens as it tapers back. The two wing compartments are angled at 22 1/2 degrees. The viewing area is approximately 8″ wide and widens as it tapers back. Each compartment is lighted by a low voltage 12 volt puck light. Please allow 2- 6 weeks for assembly and shipping.